Scrying is something all witches learn from a very tender age, it means to perceive or to reveal. To scry you need a reflective surface to gaze into, this can be a crystal ball, a mirror, a candle flame or water. It is an ancient technique used for the purposes of divination. 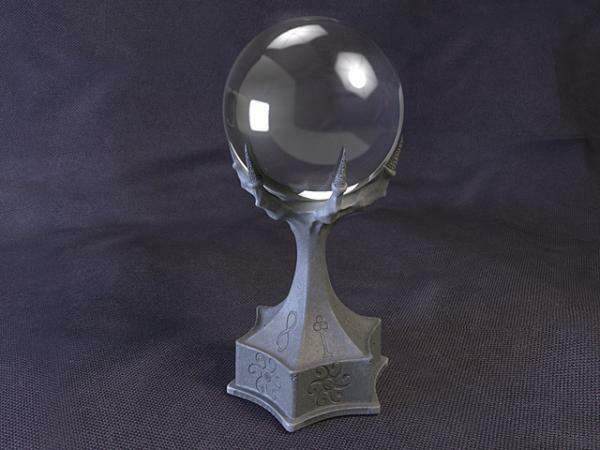 Many witches use a crystal ball or a crystal sphere which stimulates their psychically induced images. You are the scryer and you are going beyond the conscious mind into a mystical place to gain information offered by the cosmos, our ancestor’s scryed using clouds by day, and the reflection of moonlight on water by night. Nonphysical shapes and images appeared on the surface of the water, in mirrors, crystal balls, clouds and flames. Sometimes what appears is symbolic or images from the past or future may be revealed. It is up to the scryer to interpret what the images, or symbols mean and it is only through practice and the intuition of the scryer that accurate, informative and helpful messages and information are revealed. Those who can scry anywhere anytime, are fortunate to have this magical skill, so long as they are able to switch it off at will and do not become completely distracted every time they see a shiny black surface. For the rest of us there are many things we can experiment with to make scrying easier, and different things will work for different people. Scrying can be defined as the art of gazing into a dark mirror, water or crystal, going beyond the physical eyes and letting the inner psychic eye open allowing us to receive visions and information. Some people have a natural aptitude for scrying. They only have to walk past a shallow puddle in the road, glance at a piece of black glass, admire the glossy fur of a black cat and numerous images flood into their minds. Others have to spend days, weeks, months, even years, mastering this apparently simple technique, staring into elaborate black mirrors and seeing nothing but their own dark reflection – frustrating indeed – and of course, that very frustration makes things more difficult. As with all magic, it needs to be taken seriously, but with a playful and curious state of mind. Trying too hard is counterproductive. One of the things which make scrying so hard for some people to do is that, like meditation, it requires an altered state of consciousness to be achieved, but with the eyes open. In meditation, path working, and in parts of a ritual most people prefer to work with their eyes closed, this makes an altered state so much easier to reach and to maintain. 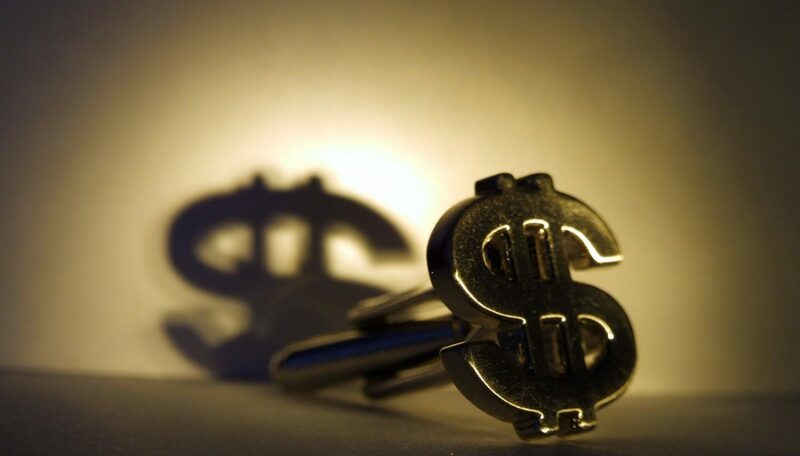 Over the centuries people have been eager to know what the future holds and have tried various mediums to gain the anticipated information that will guide them in their life, they can find out about their financial situation, their loved ones and relatives. When there was no other form of communication, other than the written word carried by a messenger, or the spoken word, and people were away from loved ones, scrying was one way to keep an eye on those close. The world was a much bigger place then and people could not traverse the world with the ease we do nowadays. For centuries scrying has been practiced by adepts and novices alike, by witches, magicians, sorcerers, priestesses, priests, kings and queens, many different tools were used, sacred vessels, pieces of glass, bowls of water, crystal balls, crystals and so on. What is revealed to the scryer is not always easy to distinguish and images, symbols or messages can be fuzzy, hazy and unclear. Our Guardian Angels and Spirit Guides often offer us assistance when we are scrying, by way of symbols, messages any imagery. We can consult with the God or Goddess energies and other deities, who can offer guidance through there infinite wisdom. The future always holds many variables and the future revealed when scrying is influenced by our choices, universal shifts beyond our manipulations, and the action or inaction of those with whom we interact. When selecting a stone we should choose one that first draws us and refracts light well, pick it up and see how it feels, close your eyes and get a sense of the energy it is emitting, decide whether it feels right for you. If the first one does not then try the same thing again with another crystal, keep doing this until you find one that you feel in tune with and know you can work with. The traditional way to care for the crystal or crystal ball, was to never expose it to sunlight because sunlight inhibits the connection with the psychic mind and blurs the communication with the Divine Energy. Moonlight was thought to provide the correct energy by charging the crystals with the energy of the Moon. Whatever instrument you use to scry with you will be tapping your Clairvoyant abilities, images will be projected into your crystal ball, crystal sphere or whatever it is you have chosen to work with. 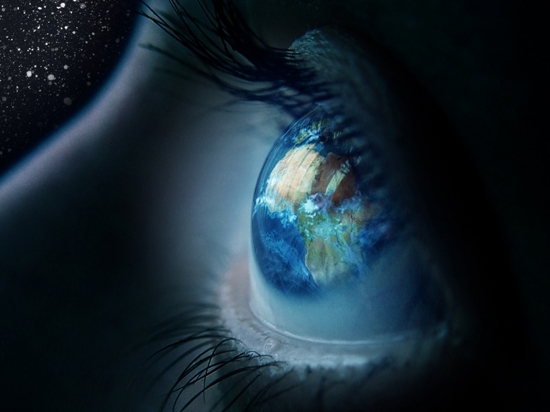 It is the psychic eye that projects the images allowing you to see them and be able to interpret the messages. From this vantage point you are able to tune into the past, present and the future, and we are able to see beings from other dimensions. With practice and patience we are able to communicate with these beings from other dimensions, whether they be Angels, Nature Spirits, relatives who have passed over, or Spirit Guides. People often find that they have a particular connection, or spiritual link with people with whom they have been linked and who are acting as teachers. Through scrying and the tapping of the Collective Unconscious we are able to not only see (Clairvoyance), but to hear (Clairaudience) which is hearing with our psychic ear. 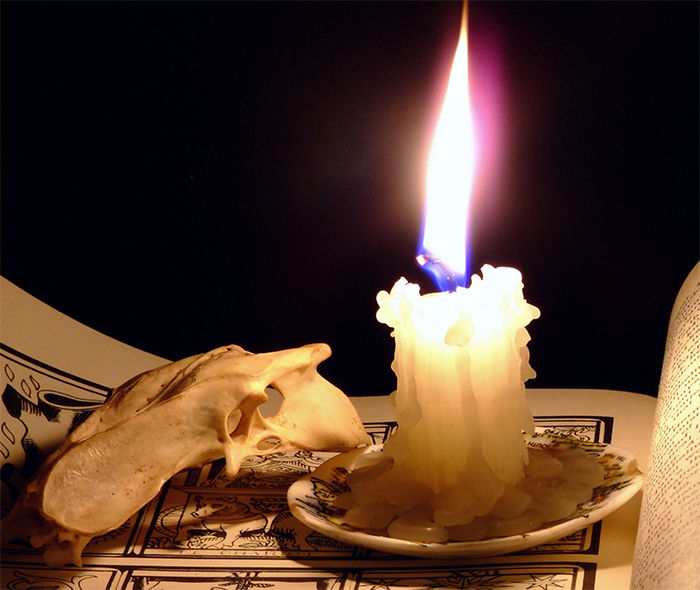 Through scrying and the burning of fragrant oils, scented candles and incense, we stimulate our psychic sensing (Clairsentience). This is where our psychic senses are heightened letting us tune into our feelings using this vital psychic sense. Through scrying you are able to travel back in time to view your past in this lifetime, you can then project forward and view what you will be doing in the future, viewing the people you are to meet, and the places you are to go. As you move backward and forward in time you experience the space where time has no relevance. Although when you move backward and forward you are in the space of no time, you can if you choose to gauge the time of when the future events are to take place. A crystal ball will reveal detailed images more readily than the flame of a candle, and as your clairaudient ability becomes stronger you will be able to distinguish the messages you are given more readily. Clairaudience requires that we speak with gentleness and understanding when reading for others and revealing information that comforts and helps. 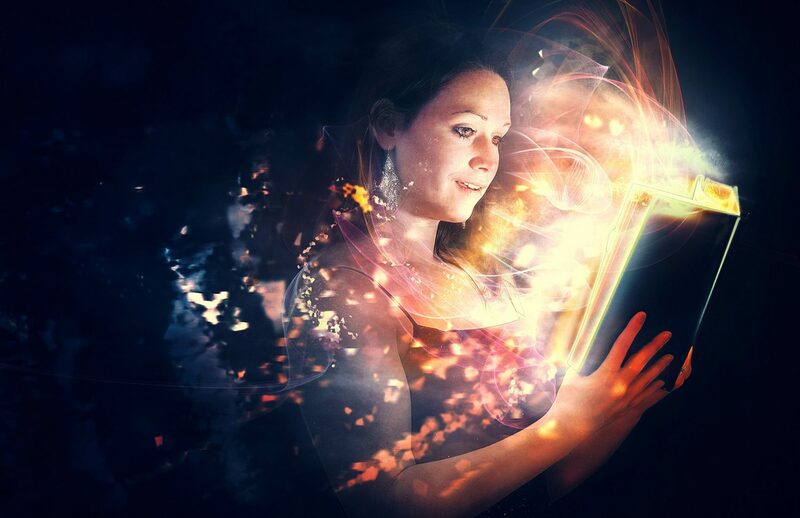 When scrying with a crystal ball psychic touch operates as a generator to our psychic energies, transmitting psychic impressions, there is an energy field around anything you use to scry with, much as human beings have an auric field. It is important to use our own judgement regarding the validity and the appropriateness of the information we receive. While at the same time being acutely sensitive to the querent’s emotional wellbeing, and whether they are strong enough to receive all, or just some of the information received. Sounds often trigger impressions, fragrances, tastes, images and senses and can transport us to another time and place. 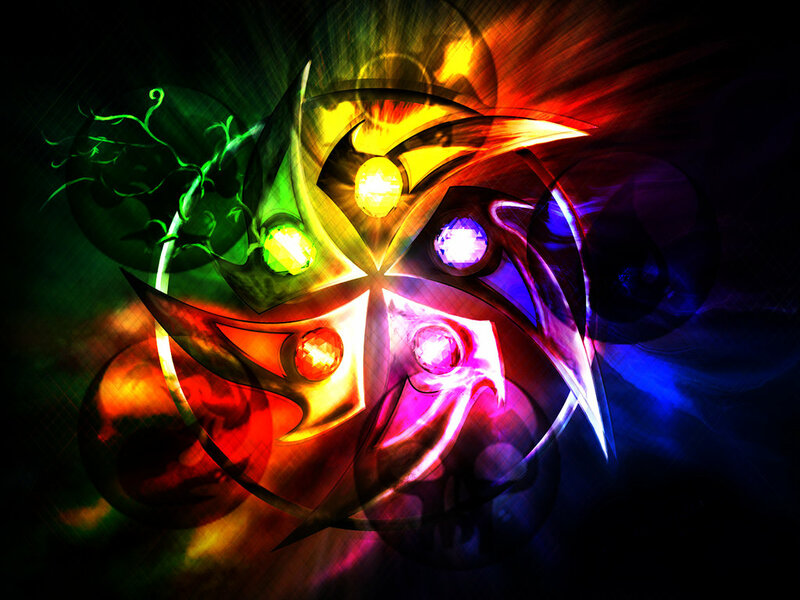 Crystals are amplifiers, they receive and transmit energy assisting the one who is scrying. To be able to scry successfully, dedication and patience is needed, and if your psychic abilities have not yet surfaced, you may find that scrying can awaken that which is within you waiting to be revealed. Once the symbolism has been revealed to you, and you have acquired sufficient understanding to interpret the symbols, scrying will become a more natural form of divination. If you find that it is too difficult to awaken your abilities through scrying, put it aside for a time and try the Viking Runes, or the Tarot, this may be an easier way to begin your journey. You can always go back to scrying as you become more in tune with your abilities. Before beginning to scry, and while touching the stone it is important to contemplate the intention of the reading, being as clear and concise as possible. By sending out a clear message or thought, tuning in to the necessary psychic energies will begin. Mirror gazing, black mirrors are easiest to use because they don’t slop about like water (at least not under normal circumstances!). They are expensive to buy but very easy to make. Spray the back of the glass from a cheap clip frame with a couple of coats of black enamel paint. Make sure the glass is spotlessly clean before you do so as any little marks may spoil your concentration when you come to use it. Once the paint is completely dry, return the glass to the frame. Bless the mirror if you wish to and treat it with the respect due to any magical object. It can be kept hanging on the wall or put away after use, wrapped in a natural material like silk or cotton. If you prefer something a little more fancy, charity shops are excellent hunting grounds for interesting frames. The size of the mirror is not important, although if you are just learning the technique, a larger surface area will probably prove easier to use. I would also avoid too elaborate a frame on a small mirror as it may distract you. When gazing into a mirror, with all lights turned out you enter a trance preparing you for scrying work, it acts as a focal point for visualisation and can become a doorway into the astral plane. The dark mirror allows communication with higher realms, and the subconscious access to the Akashic Records. View your past lives by gazing into the mirror and watching your face change shape, and your hair change style and colour. Each time you try this, the images become more refined and detailed, allowing you to gain a clearer picture of your history. Spirit energy can also be perceived while gazing into the mirror, some people find this a little daunting the first time they try this. A black scrying mirror is a powerful psychic tool, offering the user hidden knowledge and clairvoyant ability, it can also be a portal to other planes of existence. The hidden mysteries of oracular temples and the ancient rites of the magick mirror and the techniques that were practiced are again coming to light. A further use of this art is to communicate with another person, such as a magical partner, especially if they live a long way away and you cannot meet very often. Each person should have their own mirror, dedicated solely to this purpose. Ideally the mirrors should be identical and made by the people involved on an occasion when they are together, to ensure the closeness of the link. When separated both people look into the mirror at an agreed time and a good psychic channel of communication can be set up. With practice, it becomes possible to call the other person to the mirror if you really need to talk to them at a time when you have not agreed to meet. Egyptian Dream Scrying, used by the ancient Egyptian priests and priestesses as part of their initiation ceremony. Water would be placed in a large black bowl, after entering into an altered state the Initiate gazed into the vessel and the Initiates destiny was revealed. To use the Egyptian Dream scrying technique you must observe absolute silence once the sun sets, until after you have finished scrying. Drink only water before you begin and shower or have a bath, after which you are to use olive oil on your temples. After bathing and before you begin scrying light a candle. Next write on a plane white piece of paper with black ink the purpose of your Dream scrying, and the name of a dream god. Morpheus and Thoth are both dream gods. Draw an image of the dream god on your left palm, sit comfortably and gaze at the candle flame. Look at the image on your palm and call upon the dream god of your choosing by saying the name of the god, then recite after the name “I invoke through the silence of night awakened power of dreams divine.” You then focus on your question and blow out the flame of the candle. After this climb into bed and go to sleep, when you awaken write down your dreams and decipher the messages. Scrying is a magical art with many possibilities. Exactly what it is and how it works is for each individual practitioner to decide for themselves, but it will certainly enhance and focus both the psychic and creative abilities of the magician who is drawn into dark pools to find the bright treasure of secret knowledge. 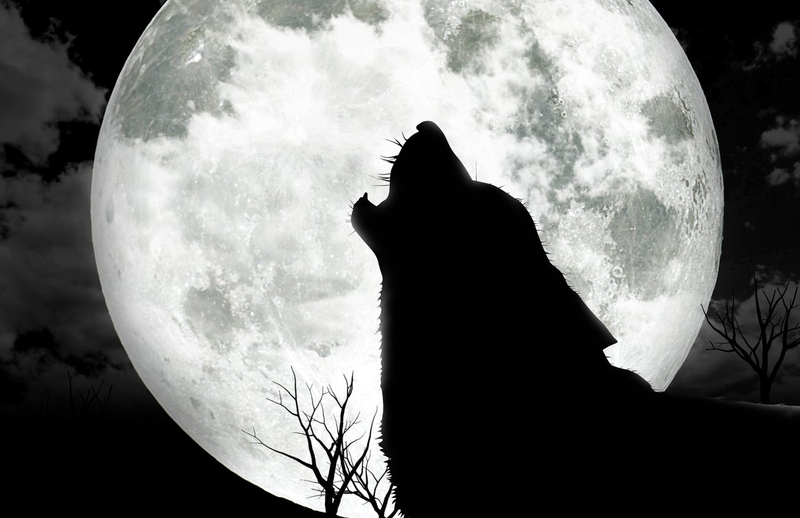 The act of scrying is related to the Moon and lunar energy that is why it is always best to practice after dark. When within your home and before you begin, extinguish electric lights and work by candlelight. Experiment with where and how you like to work, and always place yourself in a calm and quiet environment to assure a successful session, you may also work with quiet music without lyrics. For any type of divination a calm and meditative atmosphere is necessary, somewhere the scryer can feel unhurried, peaceful and calm, and are able to comfortably open up to the Divine Energy.